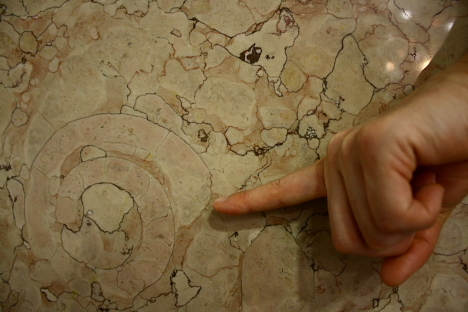 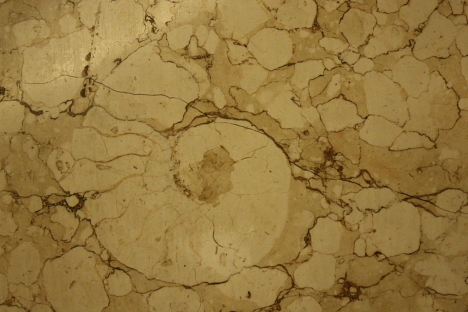 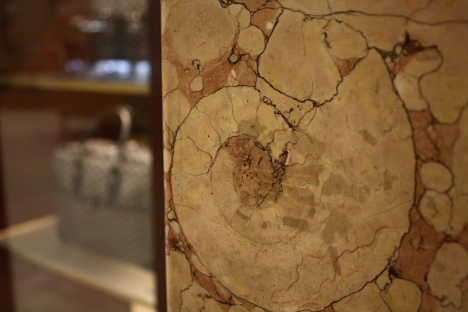 Walk the stairwells of some of Tokyo's oldest department stores and you will find some remarkable ammonite fossils embedded in the marble walls. 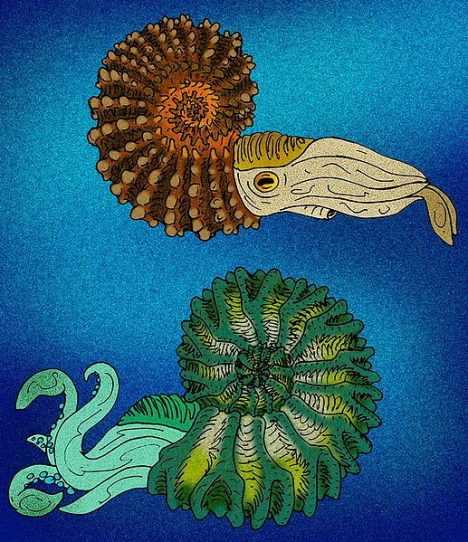 Ammonites are hard-shelled, squid-like creatures that inhabited the world's oceans for nearly 350 million years, until they died out with the dinosaurs about 65 million years ago. 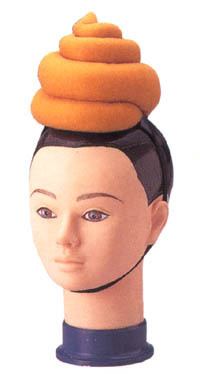 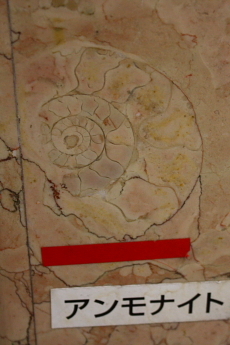 They are known only from the fossilized remains of their spiral-shaped shells. 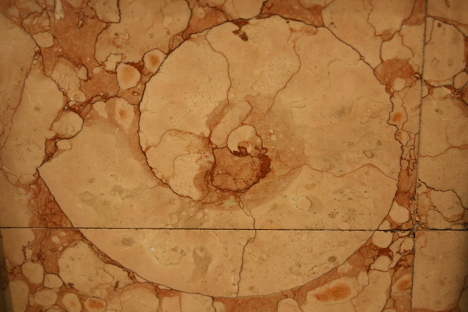 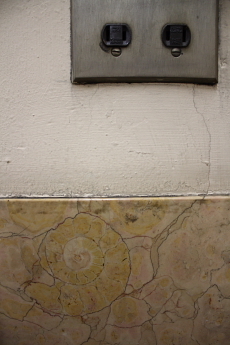 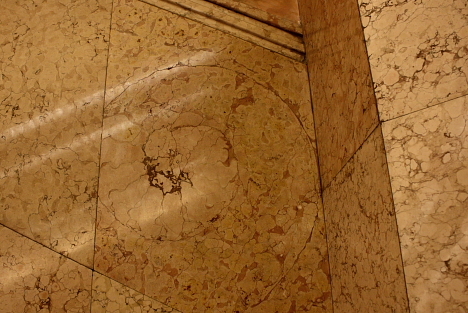 The fossil-rich marble staircases at the Shinjuku Mitsukoshi department store, built in 1929, are embedded with numerous ammonite specimens, some of which are indicated with arrows and labels. 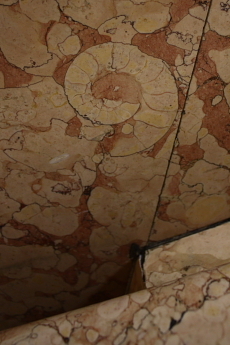 Likewise, the magnificent marble staircase at the Nihonbashi Mitsukoshi department store, constructed in 1914, is also loaded with ammonite fossils. 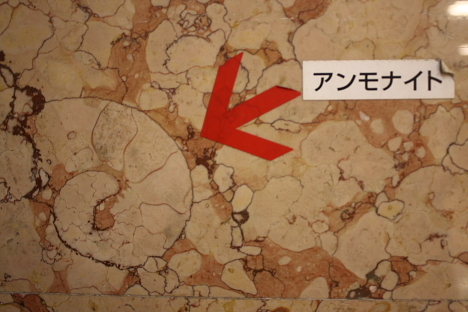 Still more fossils can be found in the marble stairwells and columns inside the Nihonbashi Takashimaya department store, constructed in 1933. 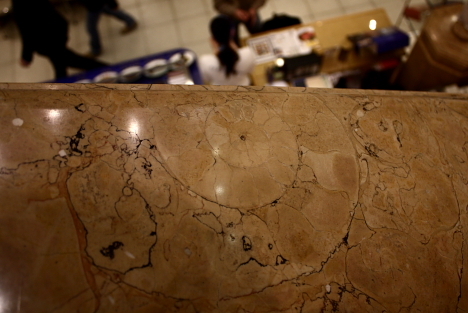 The Ueno Matsuzakaya department store, built in 1929, includes marble staircases, but there is no trace of ammonites. 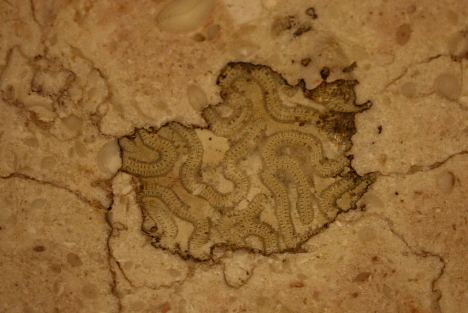 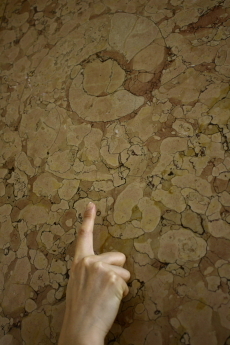 However, a rare fossil of what is believed to be a type of brain coral is embedded in the wall near the third floor.